gap kids amazing sale! — Pencil & Paper Co.
Gap kids is having an AMAZING sale!!! All clearance product is an additional 25% off the lowest marked price!!! Really you must run to your local store.....in store prices are MUCH lower than on line!!! 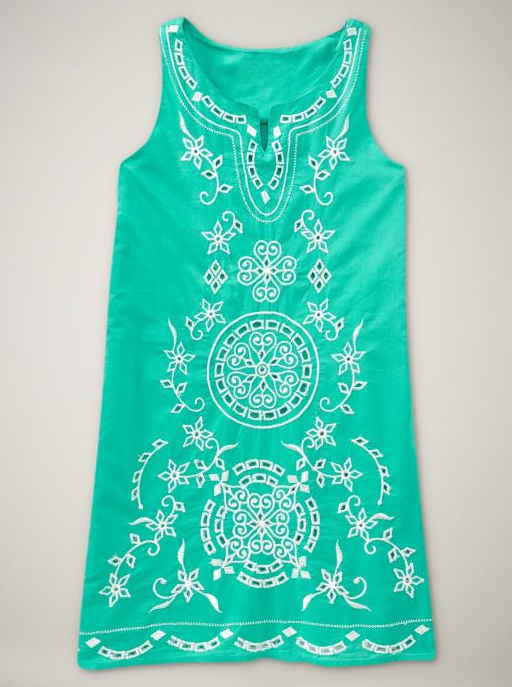 I bought this fabulous "mexican inspired" tunic dress for under $8!!!!! I promise.... this sale is not to be missed, especially if you have girls (great selection of cute product)! I love to stock up on "gifts" and next year's summer clothes for Oden when prices get this low!!! Happy shopping!! !